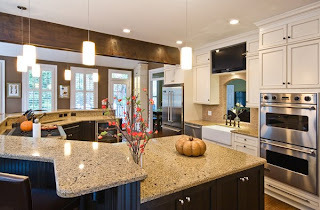 Citadel Enterprises is proud to show you our most recent kitchen remodel from start to finish. 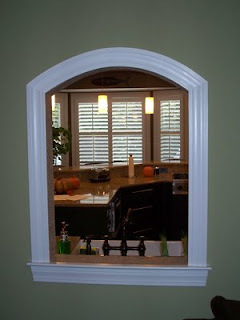 When you're ready to remodel your home, contact us at (843) 884-4303 or at beyondexpectations@citadelenterprises.com. 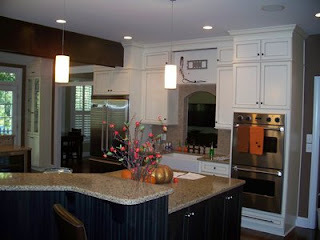 Citadel Enterprises has finished this complete kitchen remodel. We finished the job on time and on budget. Since the last blog posting the flat screen TV was installed above the sink and a few more of the owners' personal touches were added to the space. We are proud to announce that this kitchen will be featured in the next edition of Charleston Home + Design Magazine. Look for it in January. 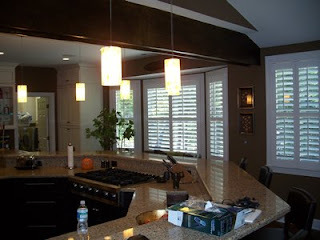 When you’re ready for a room renovation, please contact us at (843) 884-4303. Citadel Enterprises - Beyond Expectations! This West Ashley remodel is complete except for a few finishing touches. For example, the vacate space over the pass-through will house a flat screen television. Over the past week, the crew has touched up the paint, grouted the tile around the pass through and installed all the appliances. With Citadel Enterprises being close to completing the remodel, these homeowners are adding their personal touches to the space. There are now leather chairs around the bar and a set of chairs in the corner of the kitchen which makes a small sitting area. When you're ready to renovate a room and add value to your home, please contact us at (843) 884-4303 or at beyondexpectations@citadelenterprises.com. After three months, our kitchen remodel is close to completion. 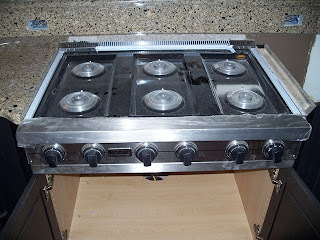 More appliances have been installed including the side-by-side stainless steel refrigerator and a 6 burner gas stove. 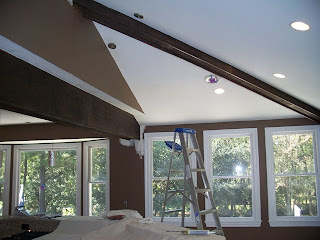 Looking up, the two beams have been stained to match the room’s color palette. The larger beam is structural, supporting the exterior wall above, and defines the various ceiling shapes that were existing. 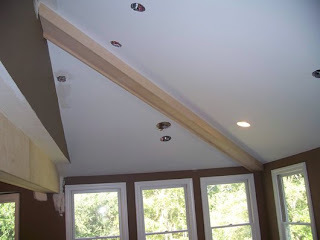 The smaller beam is decorative only. 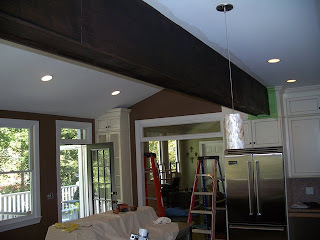 It was designed to add definition to the existing ceiling and to complement the support beam. This modern kitchen will also house a flat screen TV and surround sound speaker system. 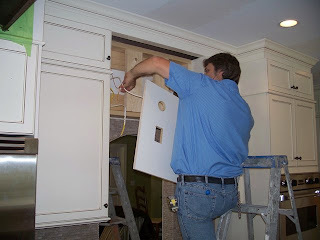 In the photo below, one of our lead carpenters is working on the space where the TV will be installed. 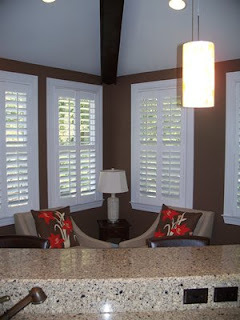 Please contact us at beyondexpectations@citadelenterprises.com when you're ready for a room remodel. 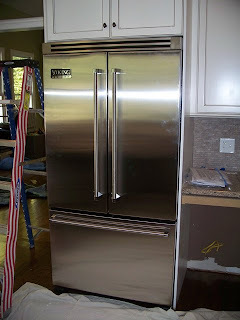 This West Ashley kitchen remodel is nearing completion. 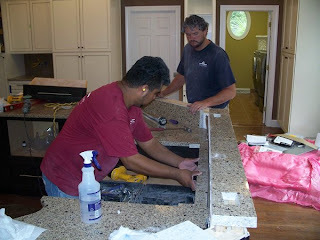 This past week, our qualified crews installed fixtures and appliances. 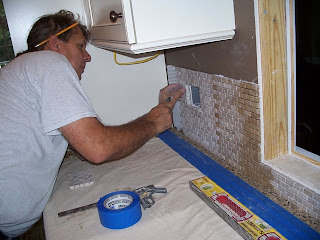 Jerry Comer with Jerry’s Tile installed an earth-toned tile around the sink and pass-through. It is called stone mosaic. This tile has many variations in texture and while small it is sturdy. It can also be a challenge to install. Several of the kitchen’s accessories are now giving life and personality to this updated kitchen. 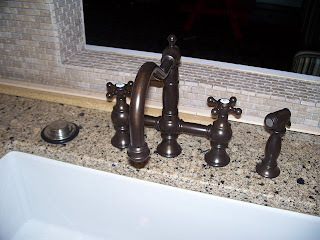 The owner chose a farmhouse under mount sink with oil rubbed bronze bridge-style fixtures that complement the design scheme. 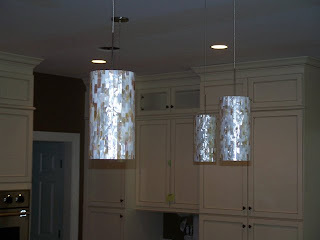 These beautiful light pendants add further personality to the space. Finally, some of the appliances now grace the space. 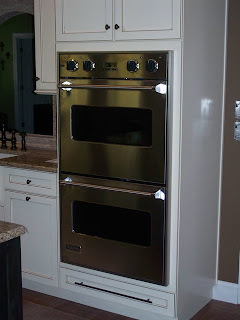 A double oven will allow this homeowner to cook for her extended family and a warming drawer will help her keep other dishes warm. Citadel Enterprises is on schedule to complete this remodel by the end of the month. When you’re ready for a room renovation, give us a call at (843) 884-4303. 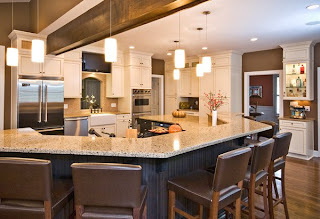 As the remodel moves forward, our various vendors are putting their personal touches on this modern, spacious kitchen. 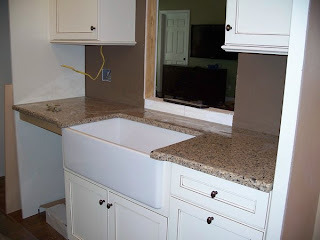 Palmetto Surfacing custom cut and installed the beautiful quartz countertops. 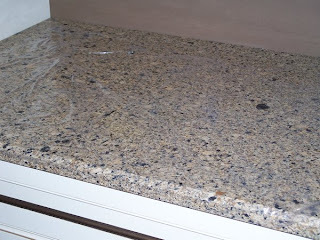 These homeowners know that quartz is extremely durable and will increase the resale value of their home. 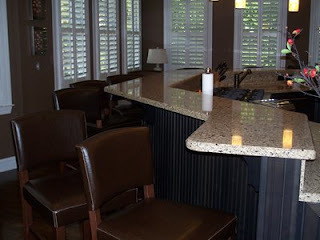 This particular pattern is called Victoria and complements the “beach” white cabinets with mocha glaze on the exterior of the room and the darker “charcoal” stained maple cabinets on in the inner section of the room. 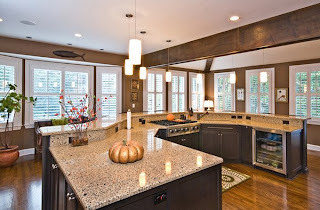 To learn more about this remodel and what quartz countertops can do to enhance your kitchen, contact us at (843) 884-4303 or at beyondexpectations@citadelenterprises.com. 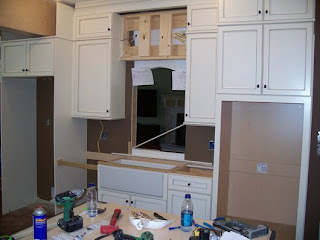 After a week of measuring, cutting and fitting, the kitchen cabinets are close to being completely installed. 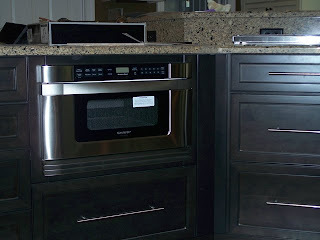 Our partners at Carolina Kitchens did an outstanding job of installing the many dark wood and light wood cabinets. In the first picture below, note the pass-through between the kitchen and the living room. This will be trimmed with imported tile. Below the pass-through is where the new sink will be placed, to the left will be the spot for the new refrigerator, and to the right are double wall ovens. During the past few days, the crew also installed this false beam. It will add definition to the existing unusually hipped ceiling, and visually tie the various beams and ceilings together. In the living room, the new fireplace mantle has been installed. 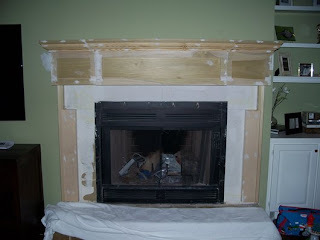 In the next few weeks, the crew will enhance the mantle by adding quartz surround pieces. A high-quality sanded and painted finish will finalize this custom piece. 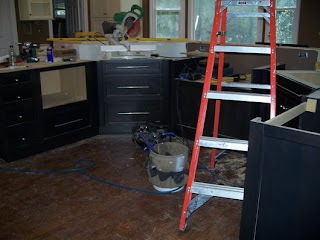 Citadel Enterprises is on schedule to finish this kitchen remodel in the next four-six weeks. What was once a cramped space is quickly becoming an open and airy kitchen that will be just the right size for entertaining family and friends. To learn more about this remodel, contact us at (843) 884-4303 or at beyondexpectations@citadelenterprises.com.